Annka Kultys Gallery is pleased to announce its intervention at the 2018 edition of Frieze London. The gallery will present the unofficial performance Eurobitch2000 by the London-based artist Daria Blum. Eurobitch is the artist’s alter ego, a semi auto biographical character partly derived from various persona observed in the art and fashion scene. 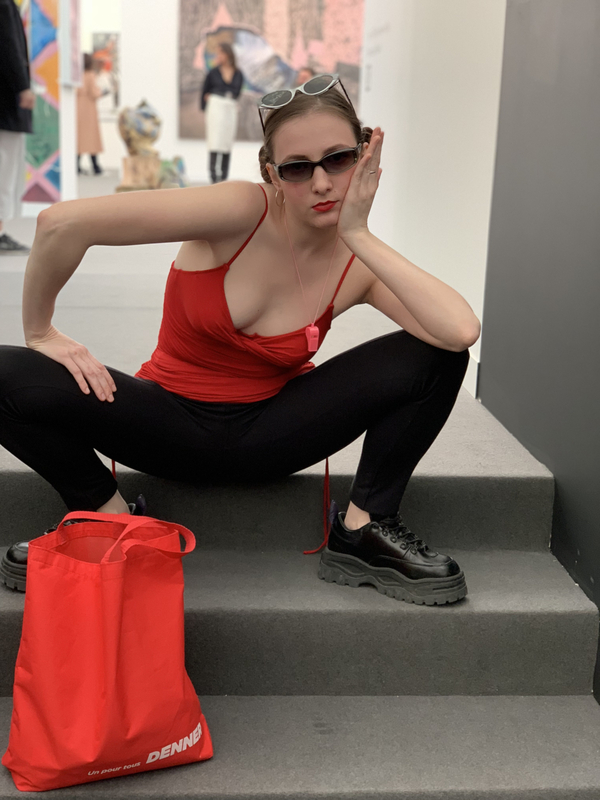 Similar to our last year performance with Signe Pierce, Eurobitch, embodied by Daria, will circulate among corridors and communal areas of Frieze, posing with her favourite art works, in the way some visitors do, but in overtly exaggerated and suggestive positions. The intervention explores superficiality, and the way people perform in a every day context on the social media.